In an attempt to appeal to and distract his increasingly racist and xenophobic base, Trump has launched yet another crass, bigoted attack, this time against one of America's most adored – and philanthropic – athletes. 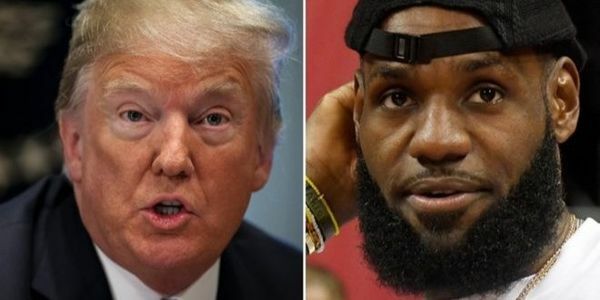 After watching Don Lemon's CNN interview with LeBron James, in which "King James" claimed that he would "never" sit across from this president, Trump took to Twitter, writing, "Lebron James was just interviewed by the dumbest man on television, Don Lemon. He made Lebron look smart, which isn't easy to do. I like Mike!" The comment comes only days after Trump insulted the intelligence of another African American, Congresswoman Maxine Waters, a vocal critic of the president. Despite Trump's frequent playground insults, he seems to only debase the intelligence of Black people. The racism is not subtle, and it is inexcusable. The president's disgusting attack also comes the week after LeBron's highly anticipated "I Promise" School opened, the new $8 million public school that he funded, where students get free bikes, meals, and college tuition. Enough is enough. The President of the United States must stop the flagrantly racist attacks and issue a public apology to his targets — some of whom, including James, have done more to help children in a month than Trump has in his entire life. Americans are tired of watching this petulant, bigoted, insecure manchild debase the office he holds, and we demand that he finally be held accountable for his unhinged comments. Trump's disgusting remarks were underscored by the fact that he is still dealing with the fallout from his ongoing human rights catastrophe of separating children from their parents at the border and then putting them in cages. Even after a federal judge's mandate to reunite the families ripped apart by the administration, hundreds of children remain separated from their parents. The president would be well served to avoid comparisons to virtuousness for the time being. Add your name to demand that Trump be held to at least the same standard as our professional athletes. The time for silence is over.